Named "Most Talked About Show"
of the Vancouver International Improv Festival. When you see a Broke Gravy performance, expect to see over 100 combined years of dynamic energy (over 30 of those doing improv comedy). Each player originated from a distinct part of the US (Florida, Minnesota, Michigan), with their individual journeys around the world eventually landing them upon the streets of Portland, OR. 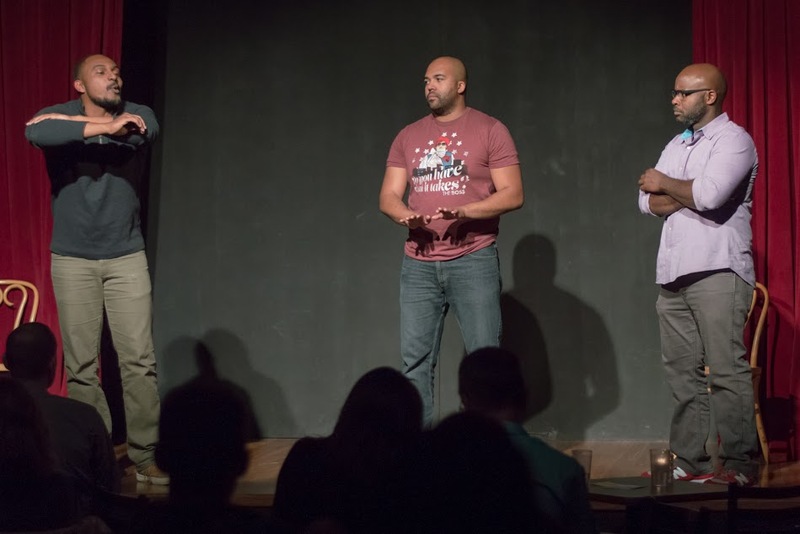 In addition to Broke Gravy, all three members perform regularly at Curious Comedy Theater, as well as at theaters throughout Portland. Broke Gravy is Leon Anderson, Eric C Simons, and Chris Williams. Visit the Broke Gravy website! Visit Broke Gravy at Facebook! Visit Broke Gravy at Instagram!